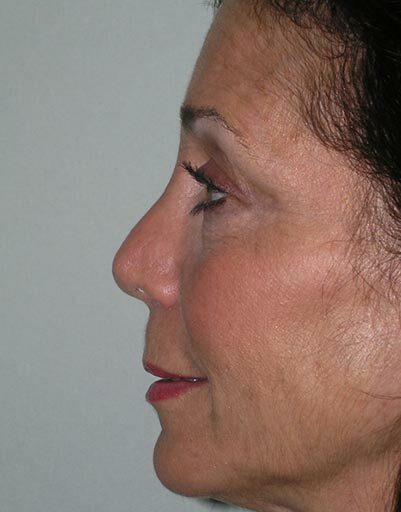 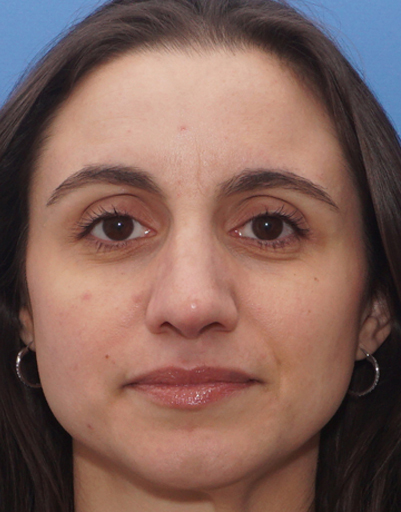 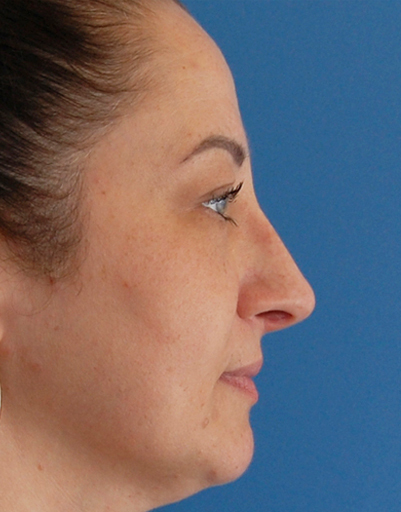 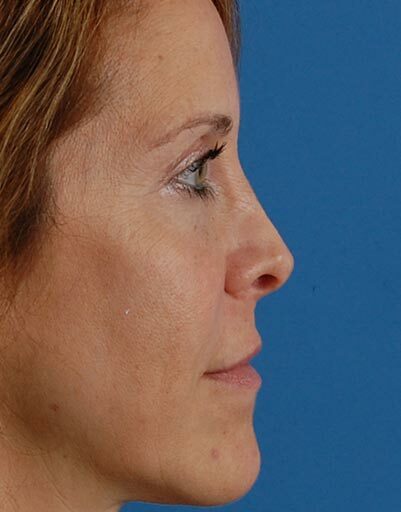 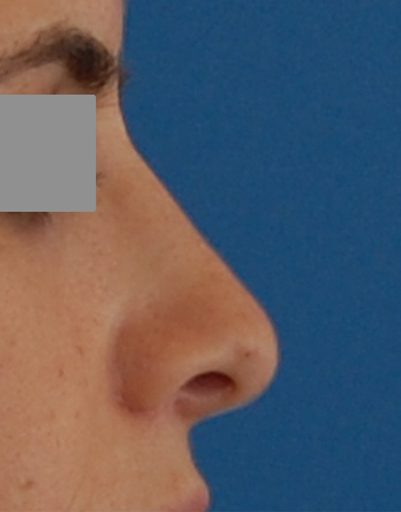 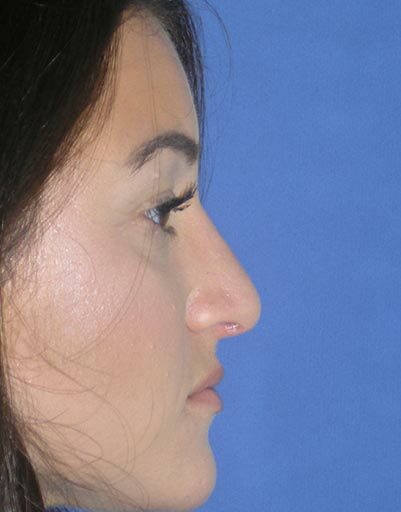 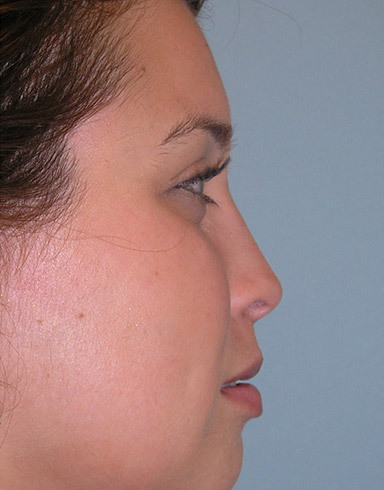 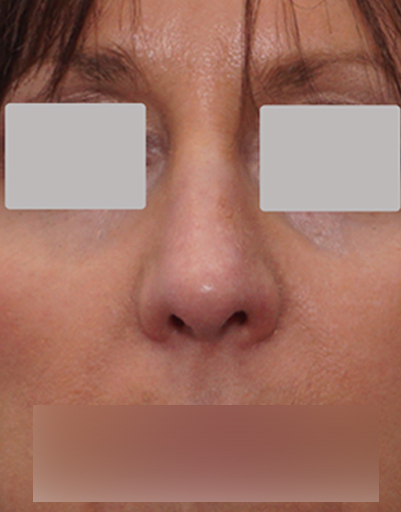 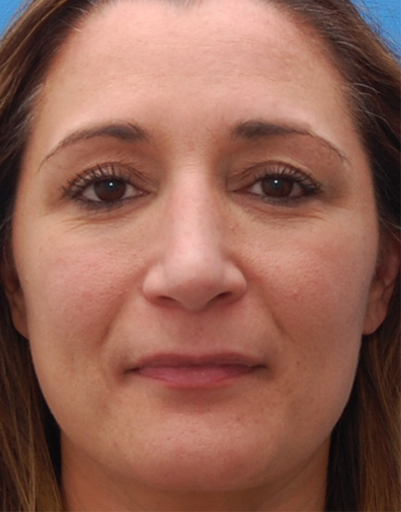 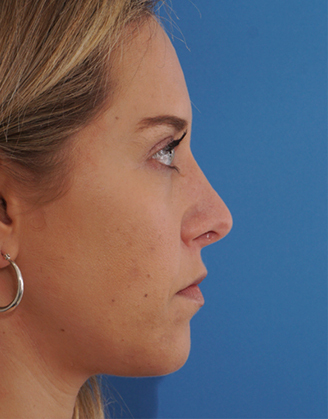 Mrs. N. had significant nasal obstruction and nasal deviation with a concern for a droopy and wide nose. 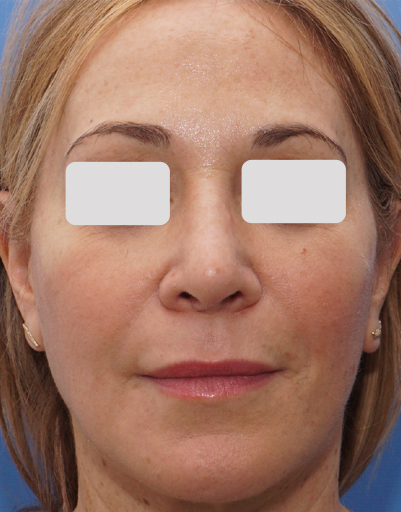 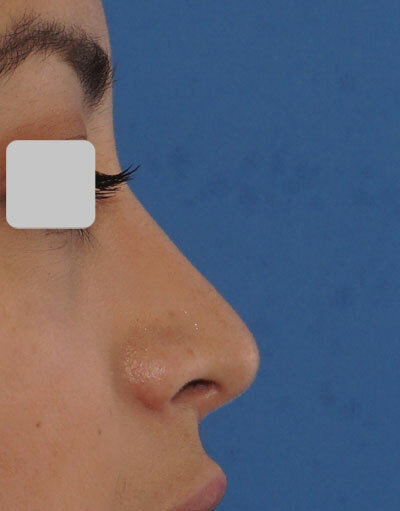 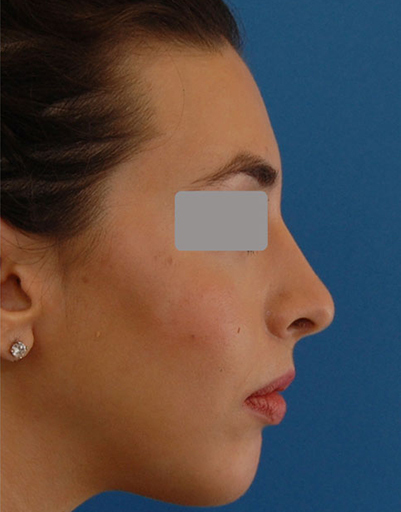 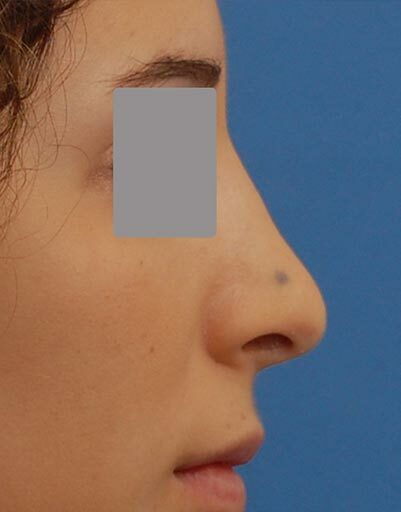 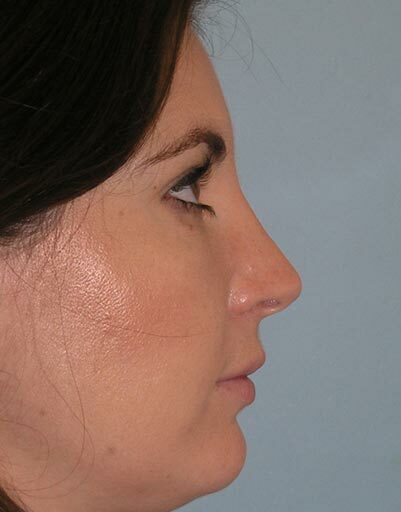 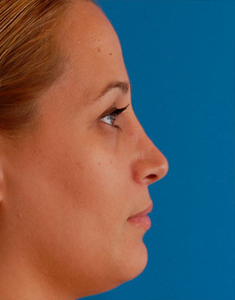 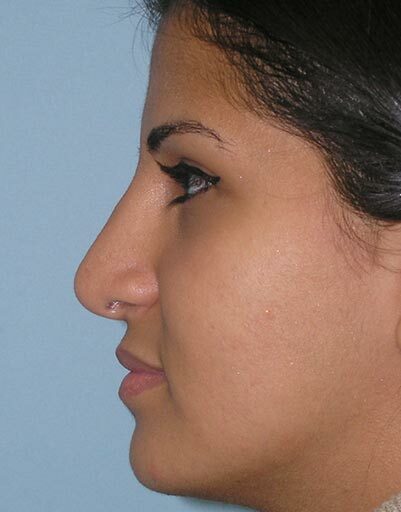 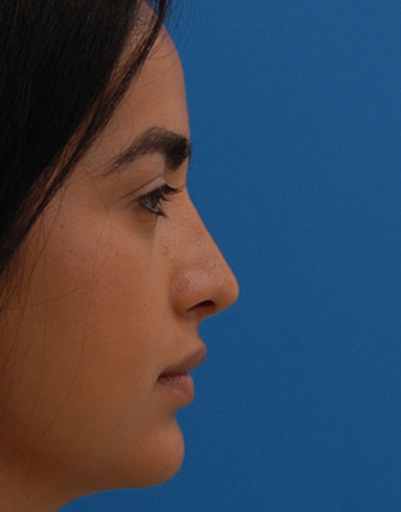 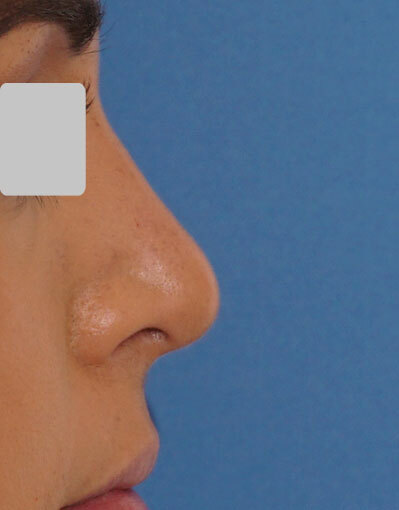 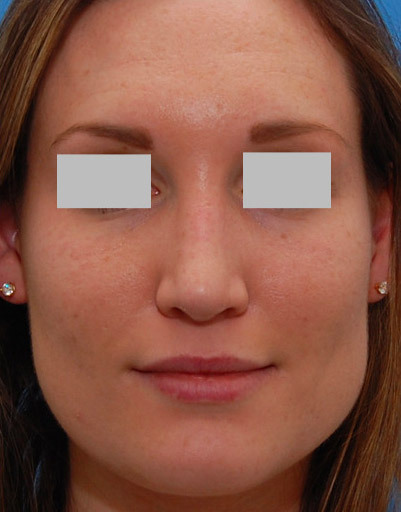 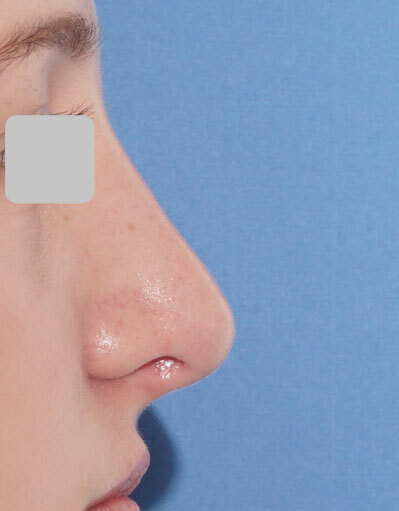 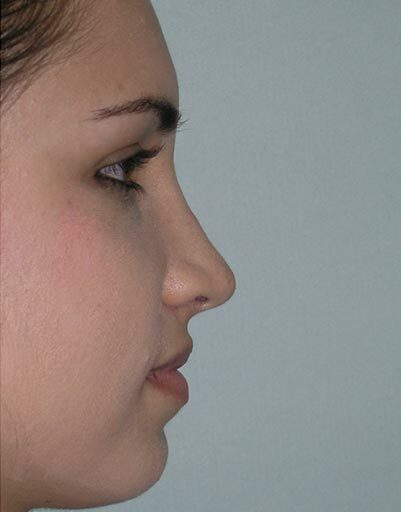 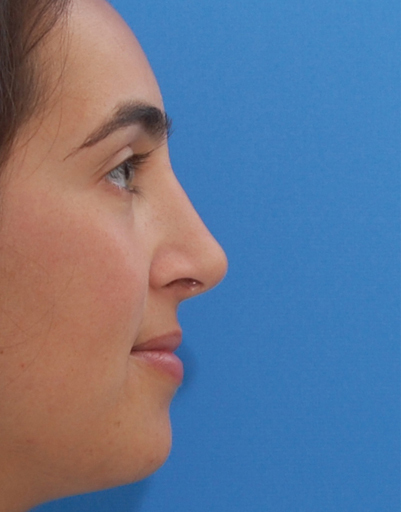 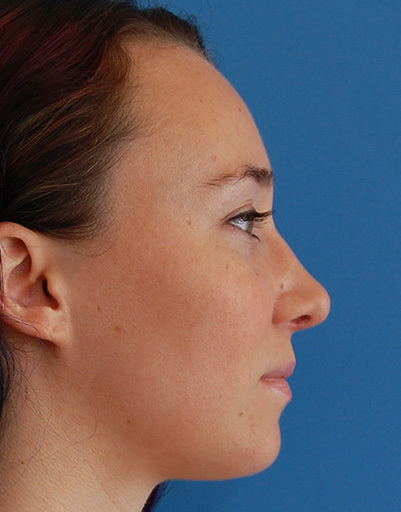 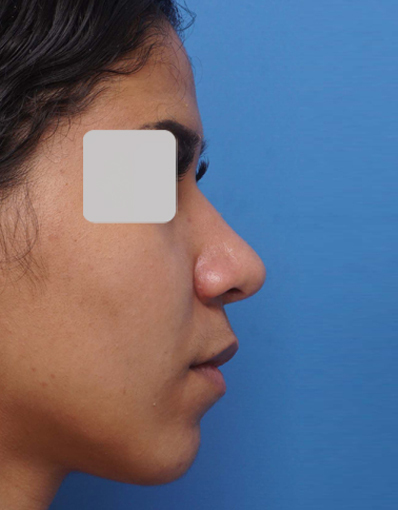 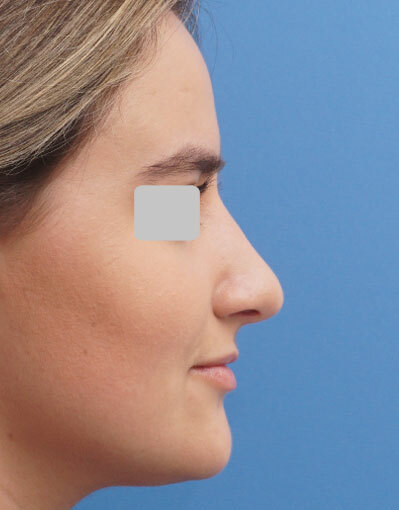 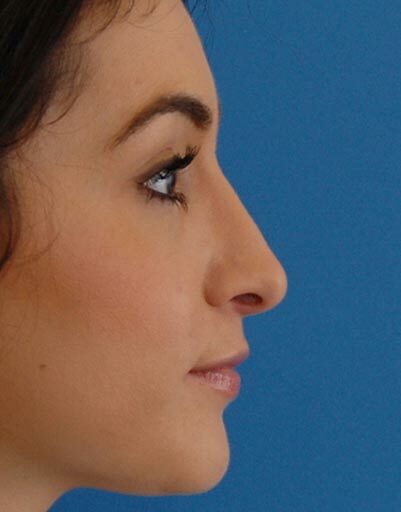 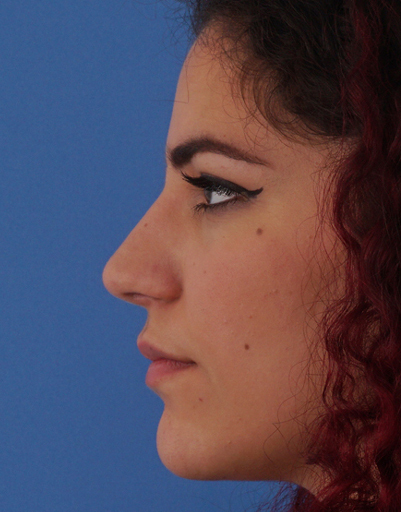 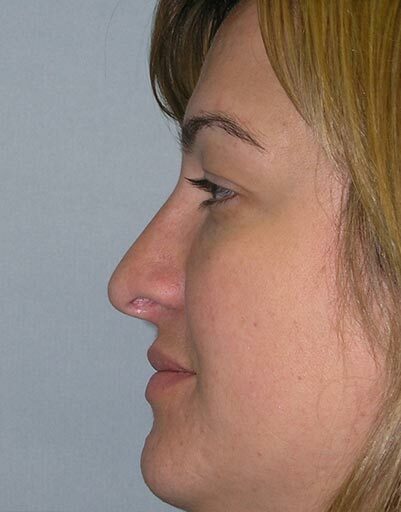 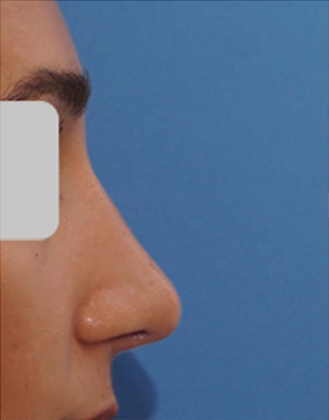 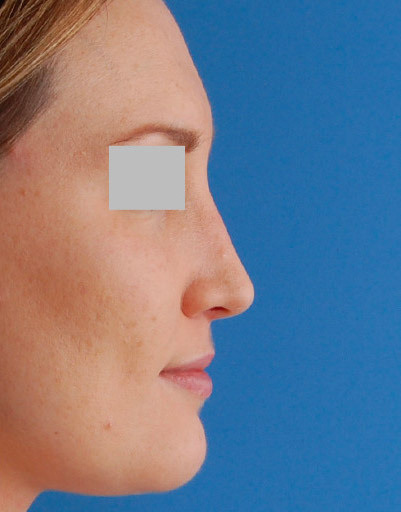 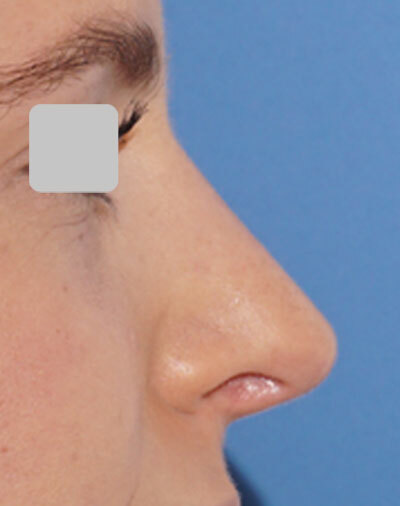 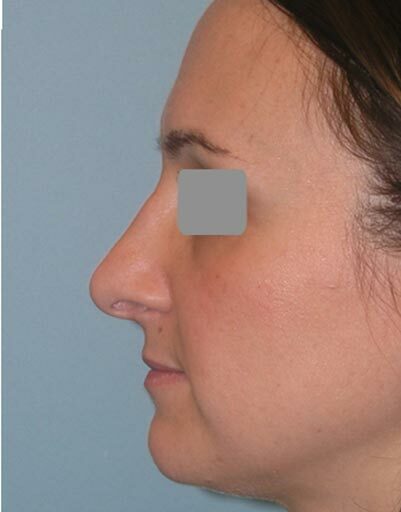 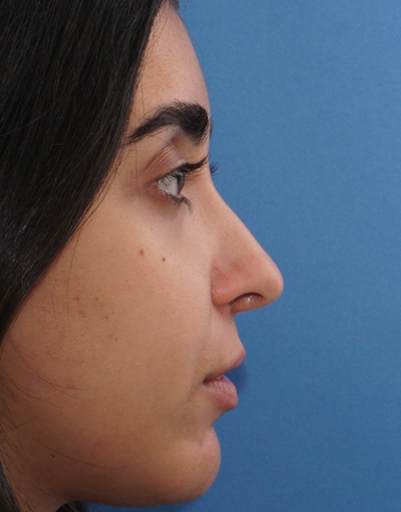 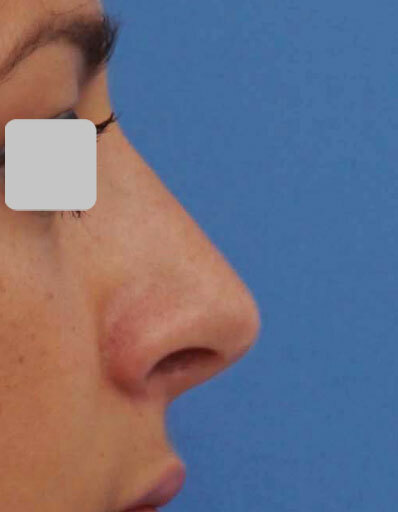 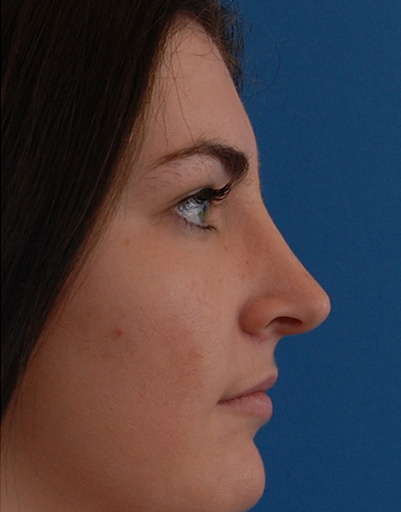 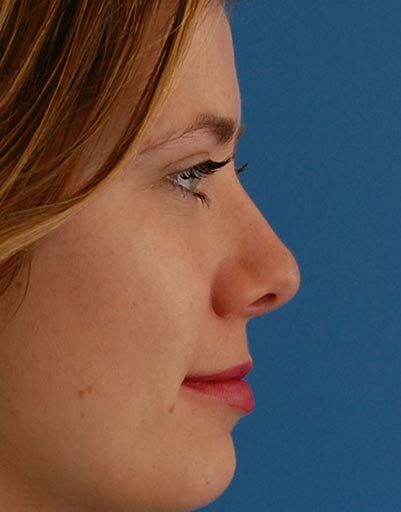 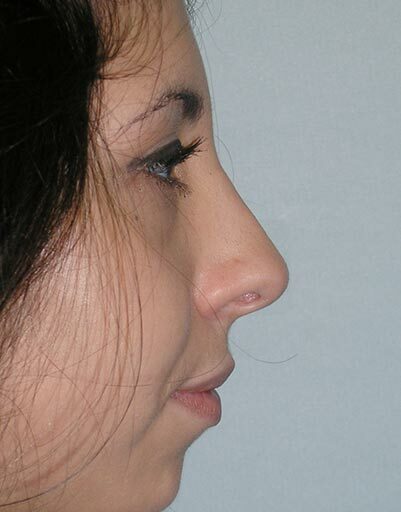 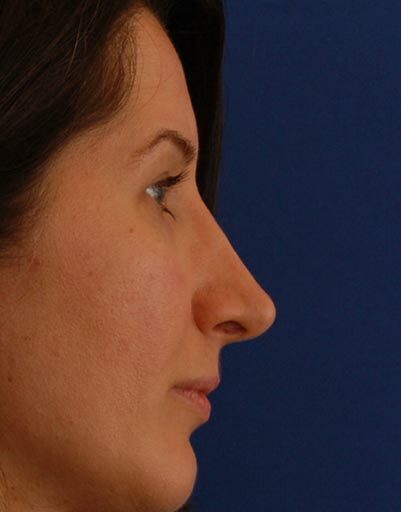 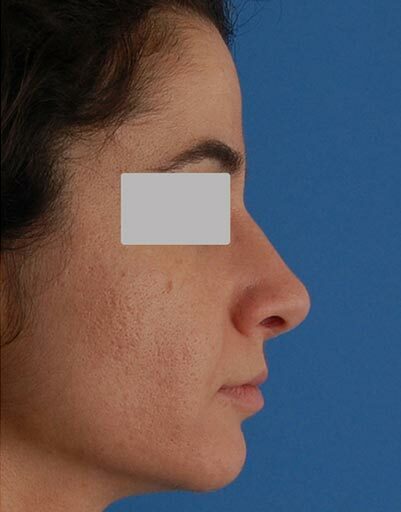 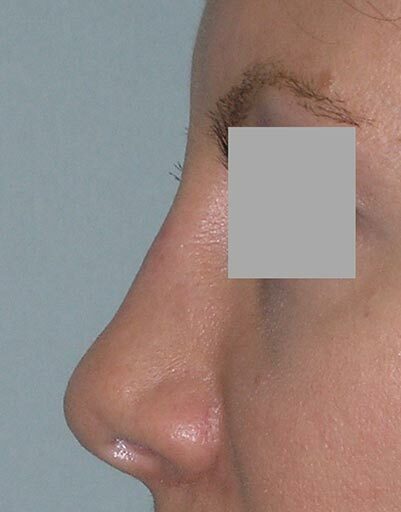 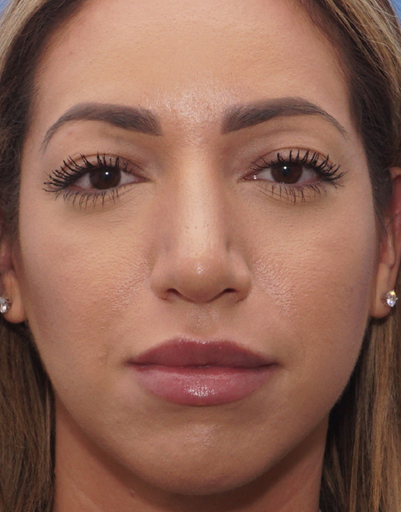 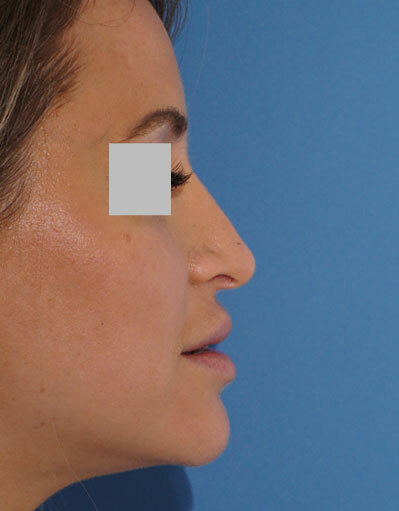 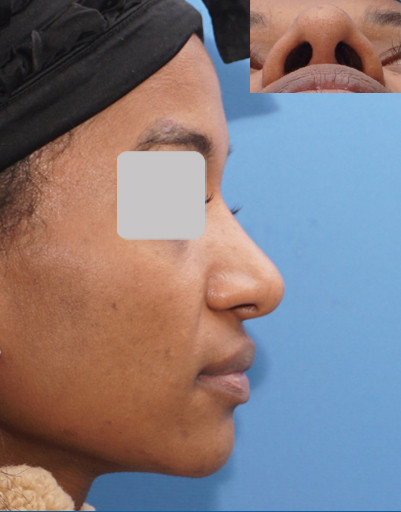 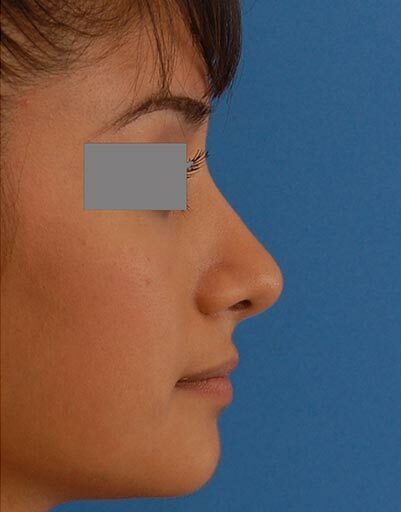 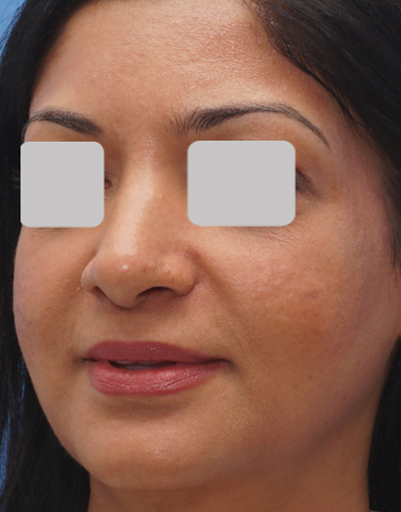 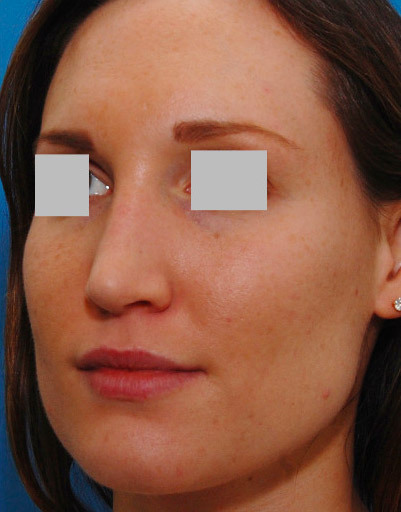 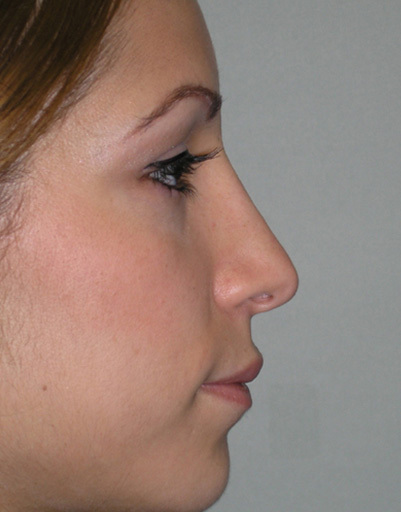 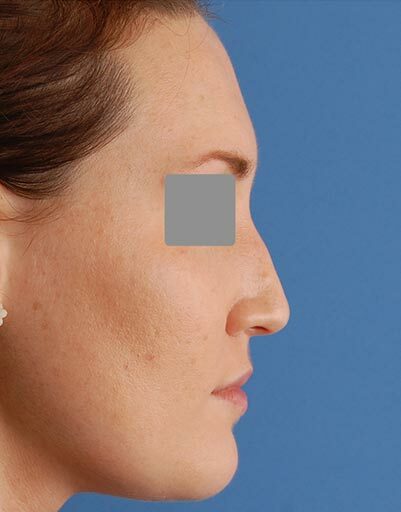 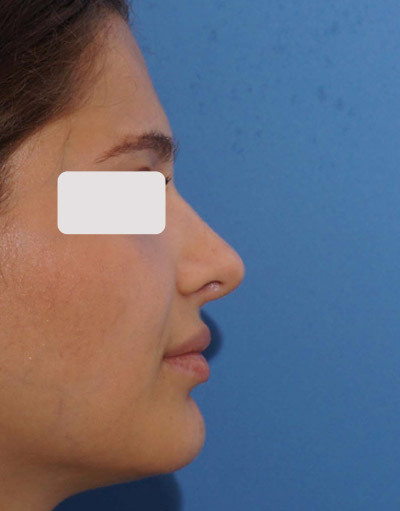 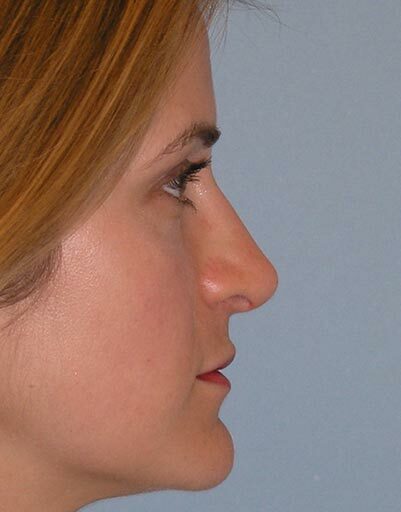 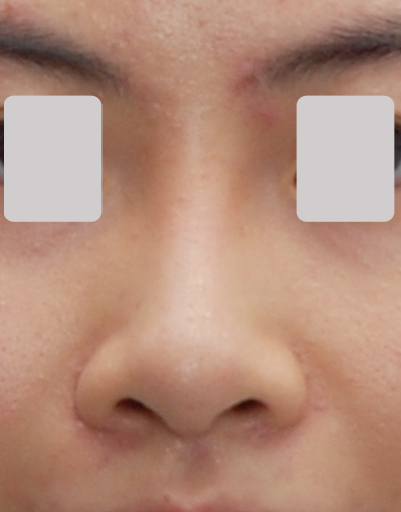 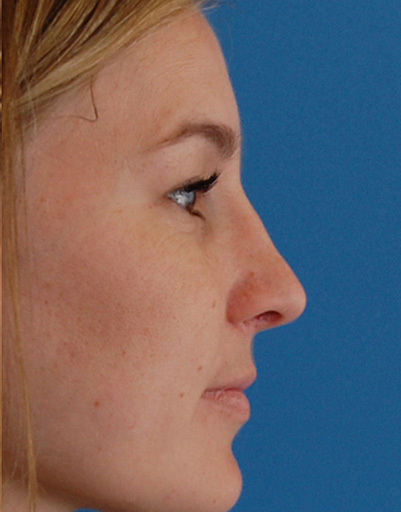 An extensive septorhinoplasty involving multiple structural grafts (spreader, rim batten, onlay, columellar strut), tip cartilage shortening and suturing, as well as Alar base reduction created a significantly straighter and more attractive nose, with an excellent breathing result. 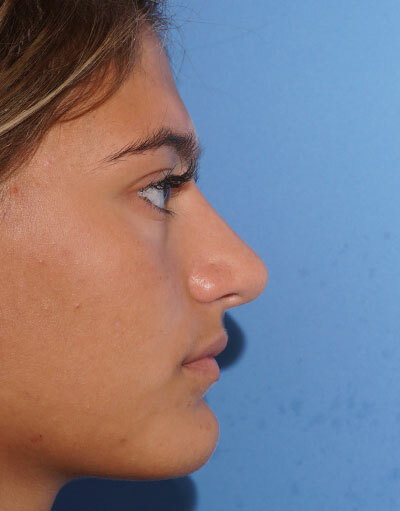 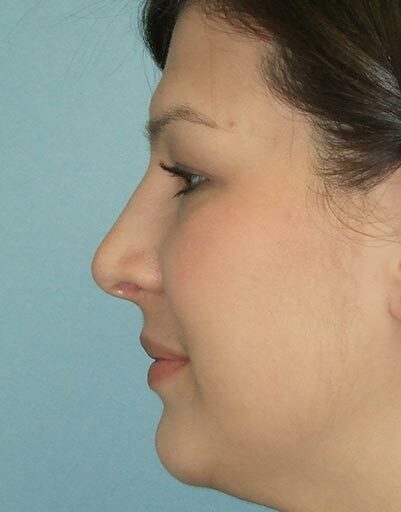 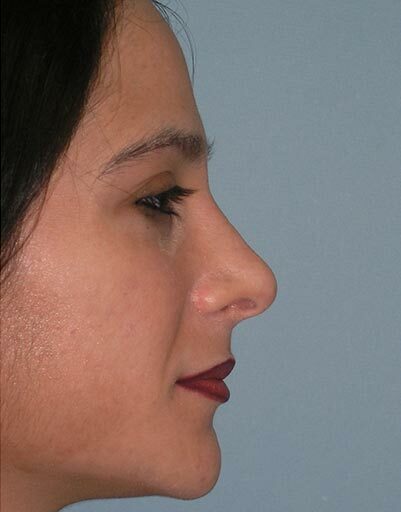 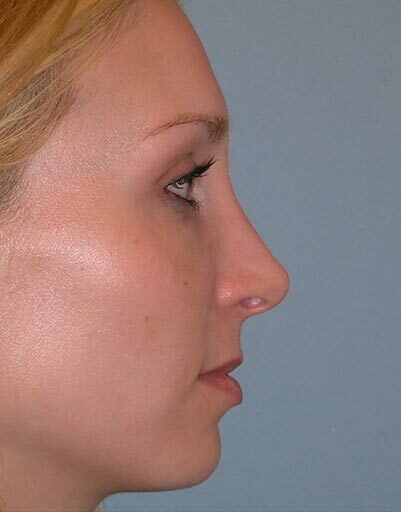 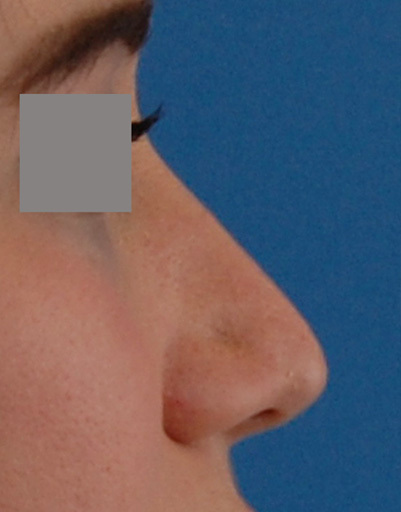 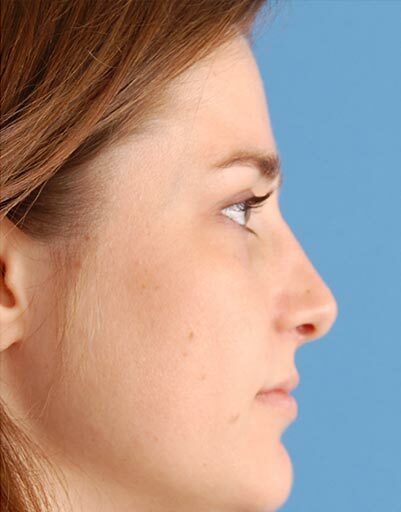 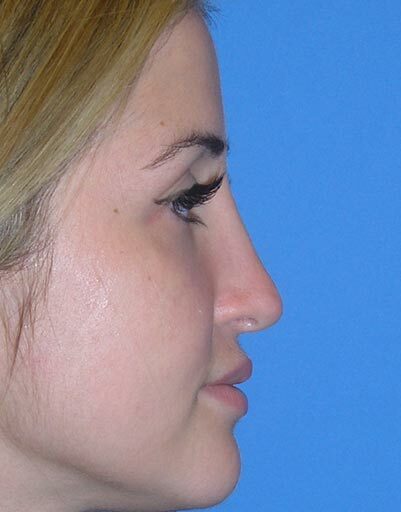 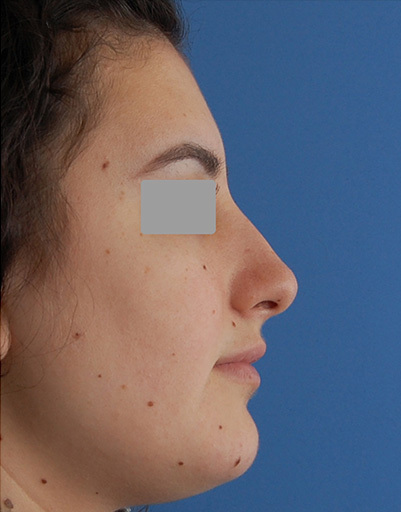 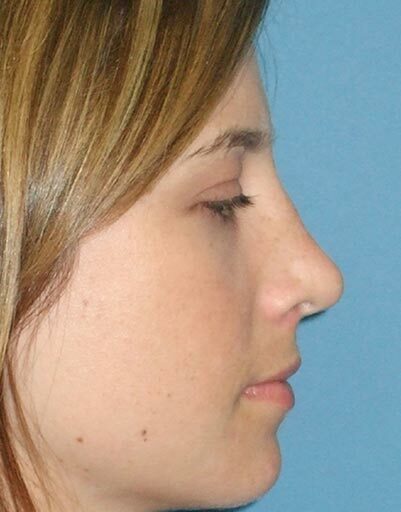 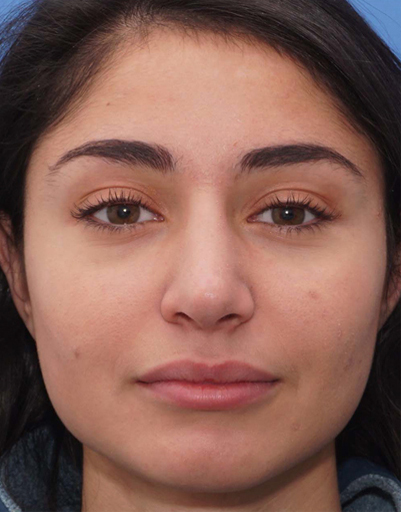 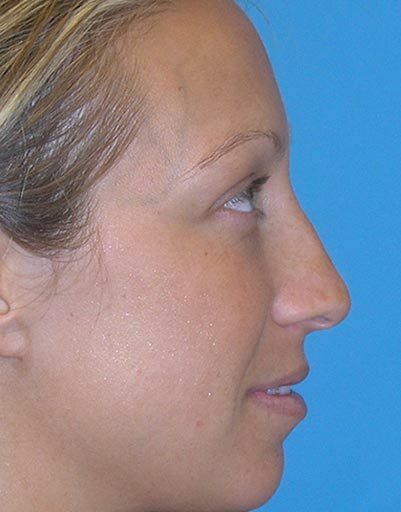 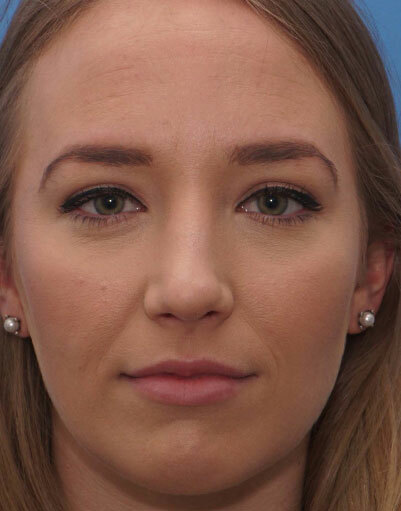 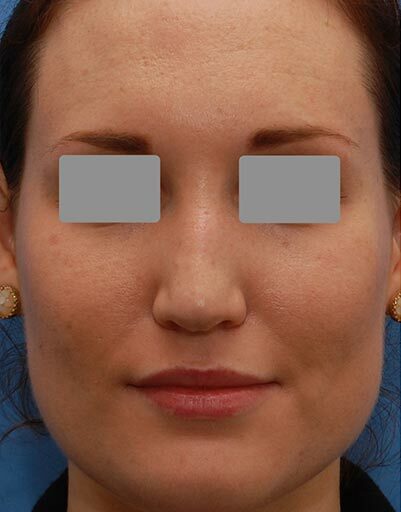 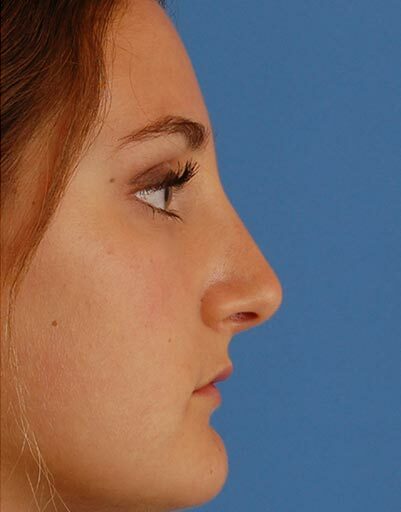 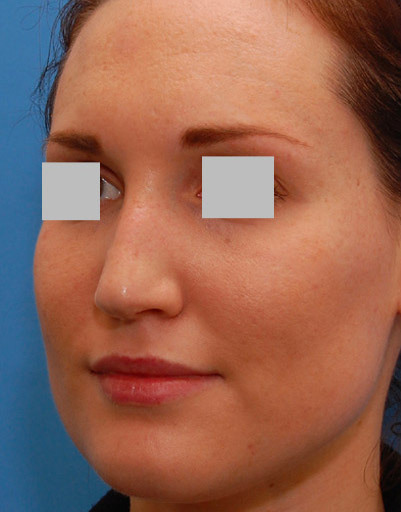 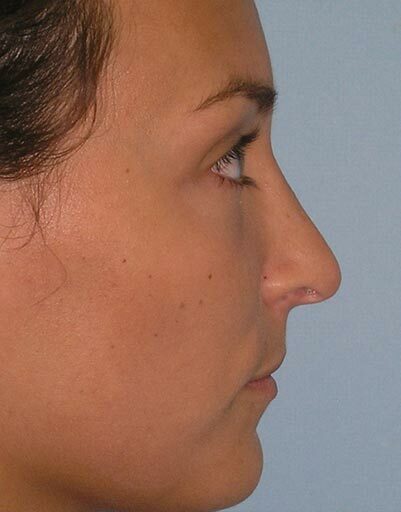 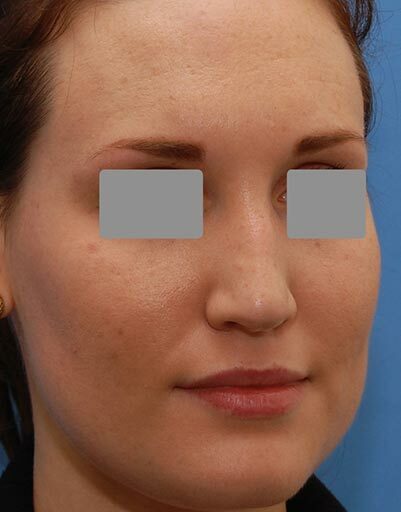 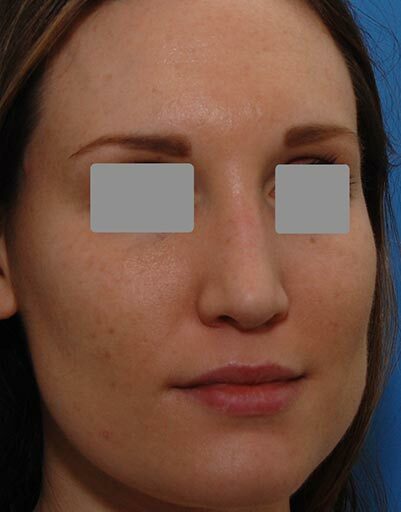 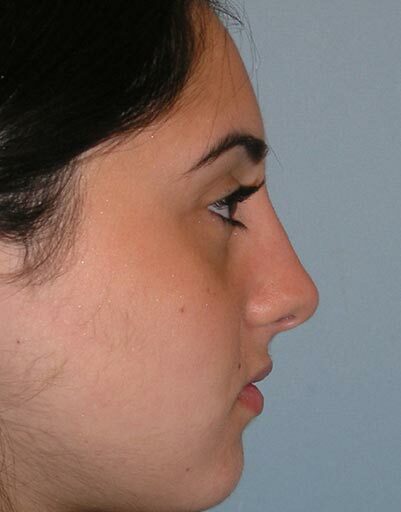 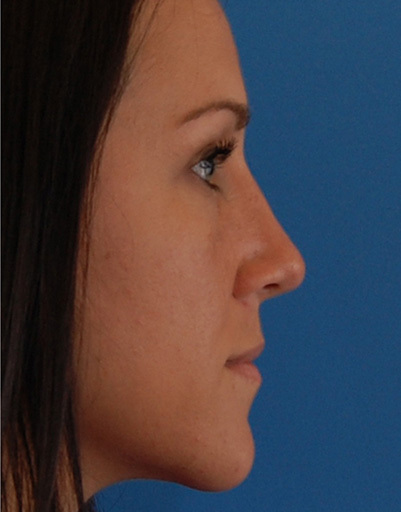 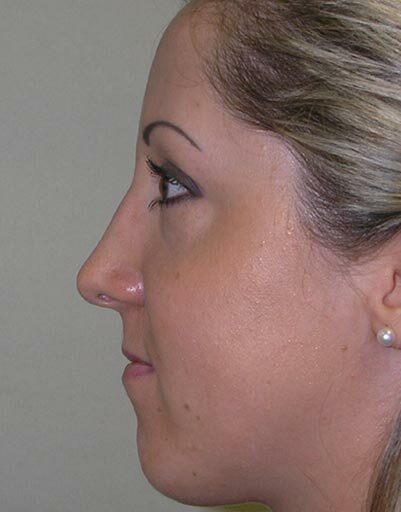 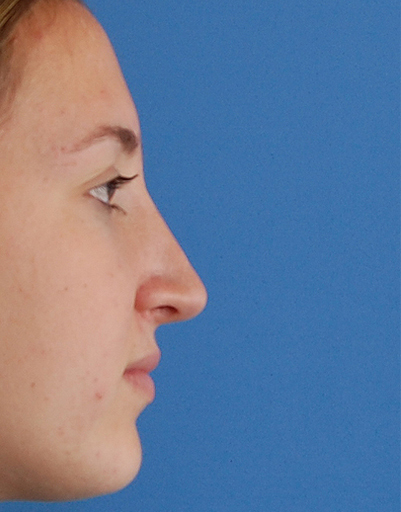 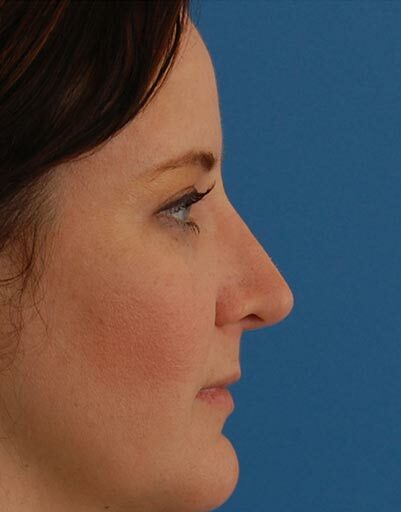 She is shown 1 year after surgery.Rhinoplasty.